There are millions (not a typo!) of new blog posts every day. Why should anyone read what you write? Why should anyone buy what you're selling? If you monetize your traffic, why should anyone visit your blog? The business of blogging is highly competitive because the barrier to entry is so low. It's free the start a blog and you can publish a post with the click of a button. If you just blog for your own personal enjoyment, maybe this isn't a problem. But if you blog for a living, this makes it even harder to stay ahead of your competition–you need to be at the top of your game. To stay ahead you need to know the best practices, the best ways to monetize your blog, how to market your blog and more. But with thousands of different articles you could ready, where do you start? How do you keep up? Well, you're in luck because we spend hours a week sifting through thousands articles to find the ones most relevant to to help you grow your business. We've complied the best one below in a growing list that we update every week. We add new articles weekly, so remember to mark articles complete after reading them in order to track progress. You must be logged in to mark articles complete. If you don't have an account yet, get a free one here. Below is an very brief excerpt of each article. Clicking on an article will take you to an expanded overview of each article that we've manually created. How to Increase Your Blogs Earnings by Over 40%I want to talk about two things I’ve been doing on my main blog to increase the profitability of the blog – both have been working really well! I’m going to talk about 3 income streams in particular: AdSense Ad network (although this will be relevant to other networks too), Affiliate promotions and selling our own products. How to Make a Business Out of BloggingIn this Matt Report interview, Dayne Shuda of Ghost Blog Writers shares how his company helps business owners maintain their commitment to sharing regular updates with their target market. The Beginner Guide to Affiliate Marketing with Your BlogIn this affiliate marketing guide for beginners, we will explain how affiliate marketing works, how to get started right away, and how to start earning through affiliate marketing using your WordPress blog. How to Start a WordPress BlogDo you want to start a WordPress blog the right way? We know that starting a blog can be a terrifying thought specially when you are not geeky. Guess what – you are not alone. Here's a step by step guide on how to start a WordPress blog without any technical knowledge (trusted by 370,000+). 6 Ways to Monetize a WordPress BlogIf you’re ready to become a serious blogger and start making money online, you need to monetize your WordPress site. It may sound like a lot of work, but it’s actually easier than you might think to get started. All you need are the right techniques, some tools you trust, and a little creativity (which as a blogger, you’re great at)! On Making Money BloggingI did not make any money from my first blogs for almost 18 months (I didn’t even know you could so did not try) and when I did start to try to make money from them the first income was just a few dollars a week – but gradually in time my income grew from a part time income to a full time income and then beyond. Here's how. How to Double Your Chances of Success with a Blog Content StrategyYou basically double your chance of success with a written blog strategy. According to Content Marketing Institute, 60% of organizations with a written content strategy are effective, compared to only 32% of those with a purely verbal content strategy being effective. How to Get a Blogging JobLet's talk about finding a job as a blogger – particularly how to apply for a blogging job. Back in 2006 I noticed I started getting a lot of emails for people wanting to hire bloggers. So, I want to give you some tips for applying for a blogging job. How Bloggers Can Make Money FreelancingYou should already know that earning money with a blog does not happen overnight. It takes time, consistent publishing of great content, and unique smart ideas to make a blog take off. Depending on the niche you want to get in, ranking in search engines might be tough, and often requires strong SEO skills. But what happens if you need money for your daily expenses? Or what if you need money to pay the hosting fees and tools required to run a blog? This is where most people turn to freelancing to help pay the bills. 6 Ways to Make Money BloggingWondering how to make money blogging? Yes, you certainly can. Whether you’re a pro writer or a budding blogger, if you’ve got great topics and a killer voice, there are people looking to pay you for your skills. But remember, blogging isn’t a get-rich-quick scheme — it requires strategy and effort. 3 Ways to Make Money With a WordPress BlogBlogging is a passion for a lot of people and it takes that passion and interest in your topic to make a truly great blog. Blogging can also be a good source of income. With the right approach, you can monetize all the effort you put into your blog and live the dream of making money doing what you love with WordPress. Make More Money from a WordPress Blog with NichesRunning a blog is an ideal way of making money for a lot of people. And if you’re successful enough, it can even bring in your full-time income. But how do you get to that point? This walks you through the process of finding the right niche for you and your audience to help your website shine. How to Make Money with a WordPress BlogAre you looking for ways to make money from your WordPress blog? You need to know what options are available to you, some of the specific methods you could use to go about each one, and possibly most importantly of all, how to do the research and find out which method is right for you, your content, and your audience. All of that is exactly the knowledge this article aims to give you. The Key to Making Money from Your Blog: Great ContentThere are several things you need in order to make money blogging. 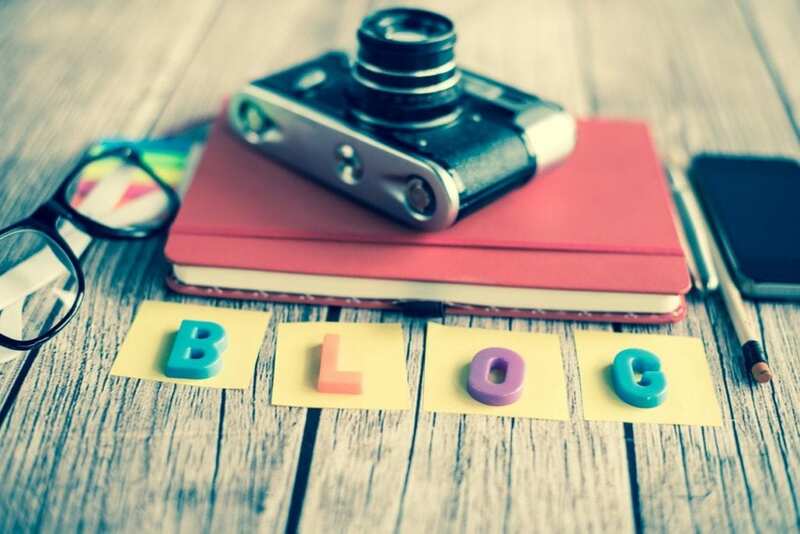 Keywords, marketing, SEO optimizations, etc., are all important; but the single most important aspect of running a successful blog is the content. 5 Proven Ways to Make Money with Your WordPress BlogYou can find hundreds of articles on how to make money with a WordPress blog, but most don't deliver. What sets this article apart is that it’s based on lessons learned from a blog that actually makes money. Read on for proven lessons on how to effectively monetize your WordPress blog. How to Transition from Blogger to EntrepreneurThis interview with Sheila talks about her journey from blogger to entrepreneur. Sheila started as a fashion blogger, but found success when she looked inside, built a community and focused on helping others. See a quick message from Sheila below and link to the full interview at the bottom of this post. A Step-by-Step Guide to Monetizing a Blog with Affiliate MarketingWith so many blog monetization methods to choose from it can be overwhelming to get started. After all, you want to choose the method that will offer the greatest potential return with the least amount of risk. Enter affiliate marketing – a low-risk, high-reward option that’s popular among bloggers and social media influencers. By using affiliate marketing on your blog, you can transform your website into a profitable endeavor. 3 Ways to Monetize an Established WordPress BlogIn this article we'll give you a few ideas on how you can monetize your WordPress blog. The fact is, if you write great content and get a lot of love from your audience, your blog may be able to do more for you than you think. A Beginner's Guide on How to Make Money BloggingWant to start a blog and make money? Are you trying to find new ways to make money from your existing blog. This guide will get you up to speed. 25 Proven Ways to Make Money with a WordPress BlogAre you looking for the top ways to make money online that are NOT scams? WordPress is the largest publishing platform on the planet, and it powers over 30% of all websites. These aren't "get rich quick schemes." If you're willing to put in the effort, here are 25 legitimate ways to make money online blogging with WordPress. That’s a good point Tiffany, thanks. I’ll add that to our to-do list to add in the future. Thanks!